I've been so lucky lately! 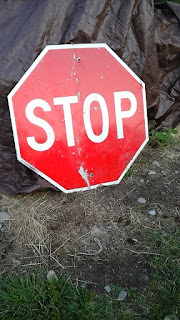 I've had a couple of wonderful picking opportunities and gotten some great stuff! I am working hard on a custom furniture piece, so it helps to have some nice things to bring into the shop, since I don't have a chance to work on my own projects to bring in. A lot of things are in the cabin, with more to come. I will also be doing some more picking next week so stay tuned!! 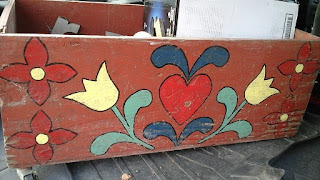 I cleaned and waxed this folk art/Pennsylvania dutch style chest...isn't it neat? 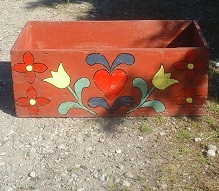 I love boxes, trunks, crates of all kinds. They are so useful. Wouldn't this be nice in the living room, filled with throw blankets? Would look great near a fireplace! 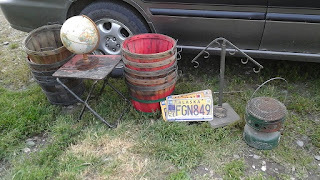 Globe is gone already.....I hope to get a little spare time to dry brush some paint on the baskets to perk them up a little, old military camp type stool, white gas stove, the hanger "thing"...oh my goodness, so heavy!!! Brass and lucite, I hope to clean it up and hang things on it in the shop. ....in the name of love!! If this does not sell, I will put it on a nice piece of wood and add coat hooks. 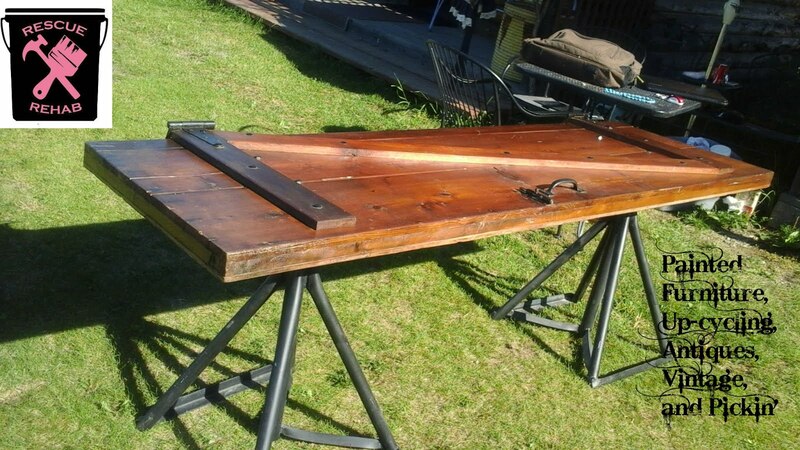 It would be a great piece for a firefighters, or a miners home. 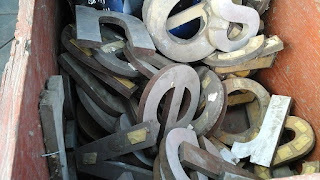 Lots of letters! They are so much fun to have, people love rummaging through to find their names. They are wooden with metal on the fronts....a few are heavy brass! The before picture of the chest! Thanks Tammy! The letters have been really popular at the shop and people love digging through them. I had to climb a steep grass covered hill to find the chest, buried in a pile, then realized the hill was trailers covered in grass, I was standing on a hitch!!! Serious picking, lol!